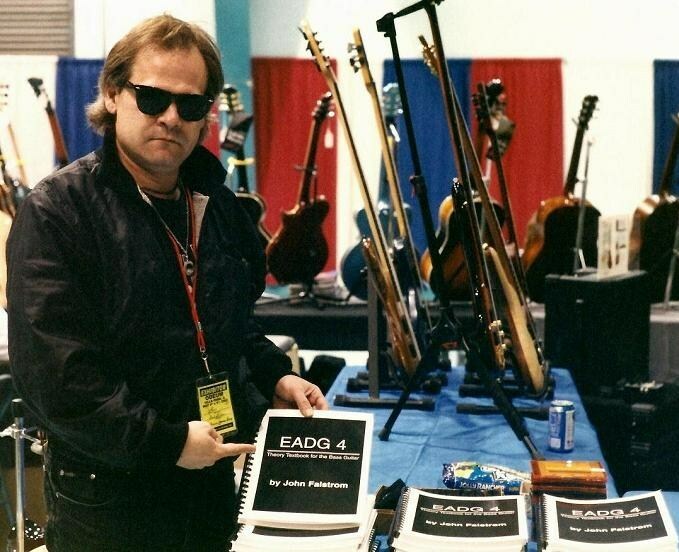 John is a contributing columnist for Gibson Guitars using material from his book, EADG 4. "Your students are lucky to have you as their teacher John!" - Carol Kaye (bassist for The Wrecking Crew 1960-1969). EADG 4 is endorsed by Bass "Royalty" Glenn Cornick (bassist for Jethro Tull 1967-1970) and Rob Grange (bassist for The Amboy Dukes 1971-1974 and The Ted Nugent Band 1975-1978). "EADG 4 by John Falstrom is one of the best books I've ever studied from. It just works. Can't recommend it enough." - Dave Tuckman (Owner/CEO of BassBooks.com).